The Tikuna, an indigenous group of about 9,500 people, live in the Colombian Amazon, near the Peruvian and Brazilian borders. Life in this part of the world is geographically isolated. Although one can only reach this area by boat, globalization has found a way to leave its mark on the traditions and ways of life. One of the visible examples of acculturation is the transformation to the practice of one of the more important rituals of the Tikuna. The Yüüechíga (pelazón) is a female initiation ceremony, where young women are isolated from men and their community during their first menstruation. They remain isolated for up to one year and sometimes longer. Despite isolation, this ritual is not about loneliness. It is a time when girls are prepared for their role as a woman. In the time between childhood and adulthood, tradition and globalization oscillates in the world of these young women. Their stories and their dreams are affected by the impact of modern ways of life. 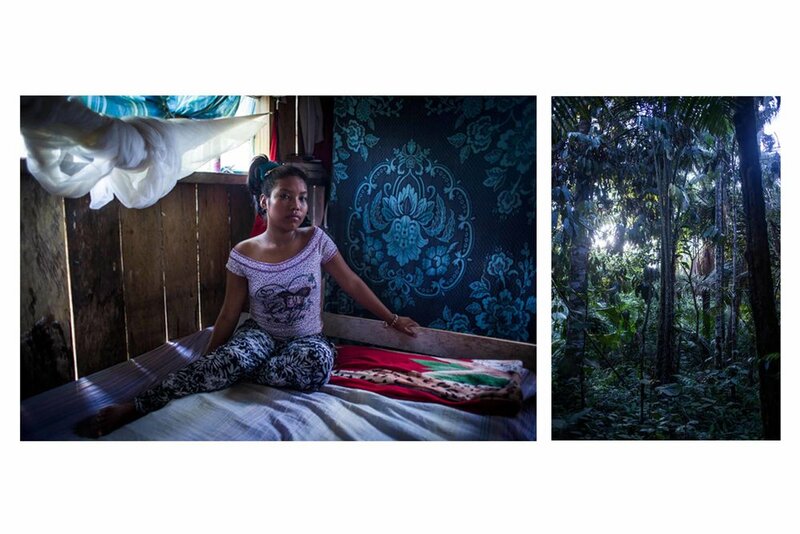 Surrounded by the Amazon jungle, these women live between realism and surrealism. What is real and what is unreal in this world is left to our imagination.